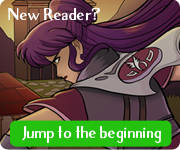 More new SpiderForest members to check out this week! Title Unrelated follows college-age siblings on a quest to find their youngest sister, who has stumbled into a strange world. Been following this one for a while, and the characters have just the right balance of depth and fun. Do check it out! Witches Get Stitches is a grungy fun high energy story about crude demons working retail and beatin' stuff up. Amaaaazing inkwork here. Bits Fair is a very cute adventure story about kids with telekinetic powers. The characters and setting reminds me of a classic SNES RPG. Such a fun story! That's all for now! 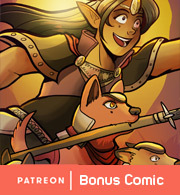 Check them out, along with the other really great comics at SpiderForest!